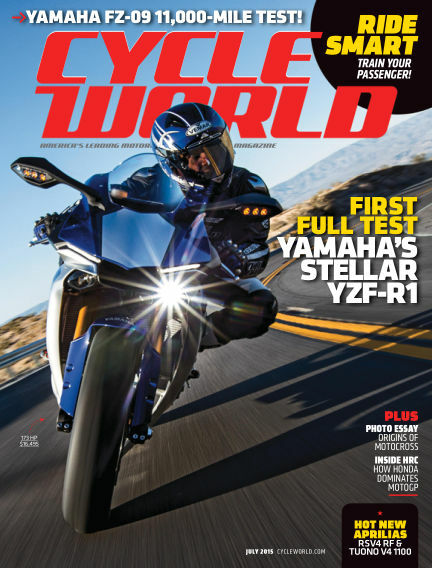 In this issue of Cycle World : The premier motorcycle magazine, Cycle World, is dedicated to providing you with the latest motorcycle news, gear reviews, motorcycle videos, and more. Cycle World is dedicated to the motorcycle enthusiast, no matter what he or she rides. With Readly you can read Cycle World (issue July 2015) and thousands of other magazines on your tablet and smartphone. Get access to all with just one subscription. New releases and back issues – all included.